Hello to my lovely readers!! 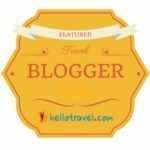 Have you ever thought what makes places like Shimla, Manali, Goa, Darjeeling, Gangtok, Nainital, Ooty, Pondicherry, Udaipur, Mussoorie, and Lonavala too much touristy? Is it all about the natural beauty of these places? 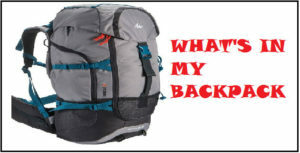 Probably not!! Alongside nature’s blessing, each one of these places has good hotels, restaurants, shopping streets and some of the other form of recreational activities available which makes them touristy. 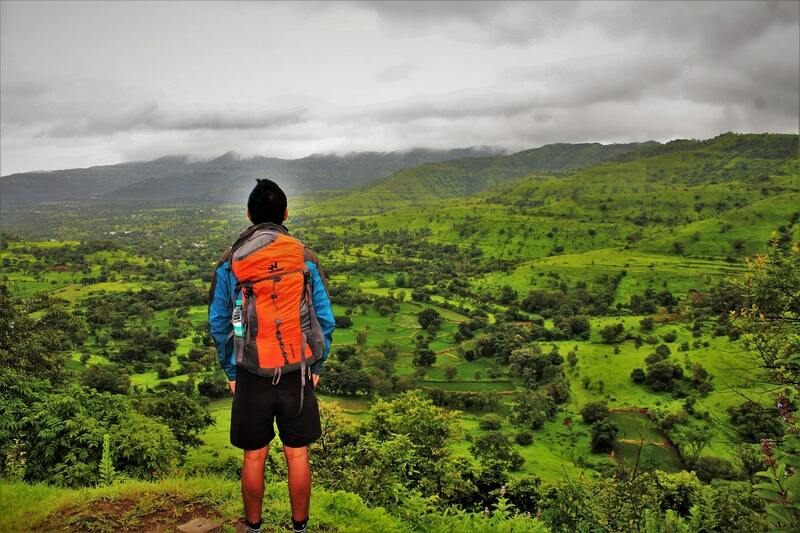 The reason why I am discussing this is, still there are thousands of places in India which are equally beautiful, but due to lack of infrastructure, they are hardly visited. 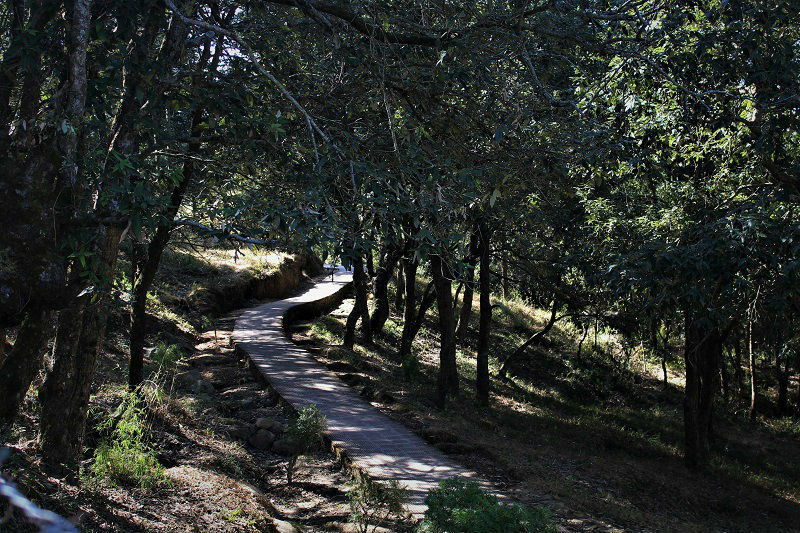 Personally, I like these kinds of unknown and unexplored places, as they are generally much cleaner and more peaceful. 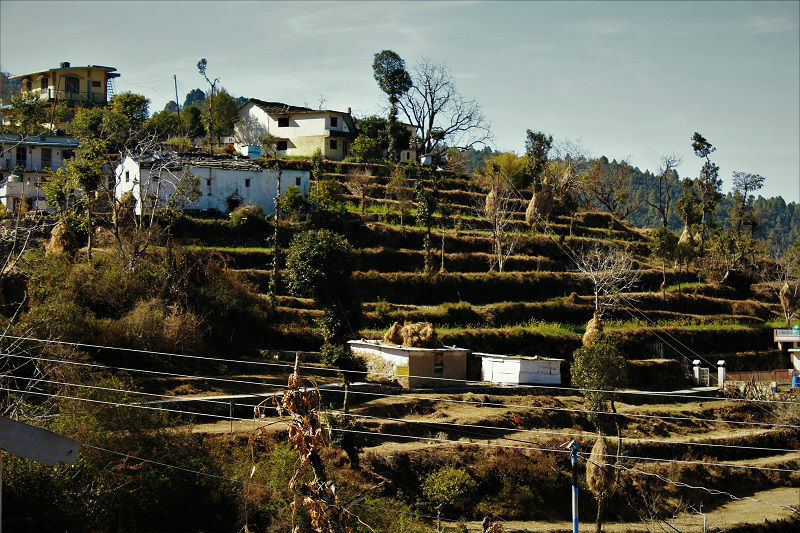 And one amongst them is the beautiful village of Khirsu located in the Pauri Garhwal district of Uttarakhand. 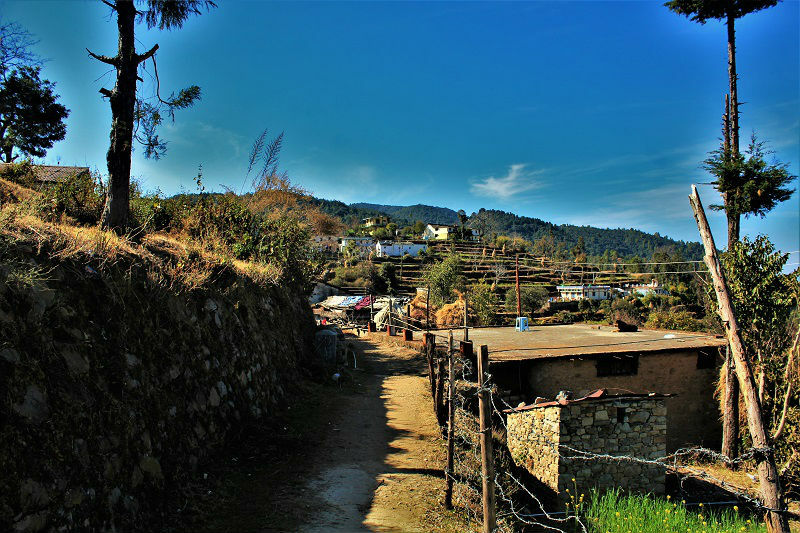 Located around 20 kms from the Pauri town and standing at an altitude of around 1700 meters, Khirsu provides breathtaking panoramic views of Himalayan range. 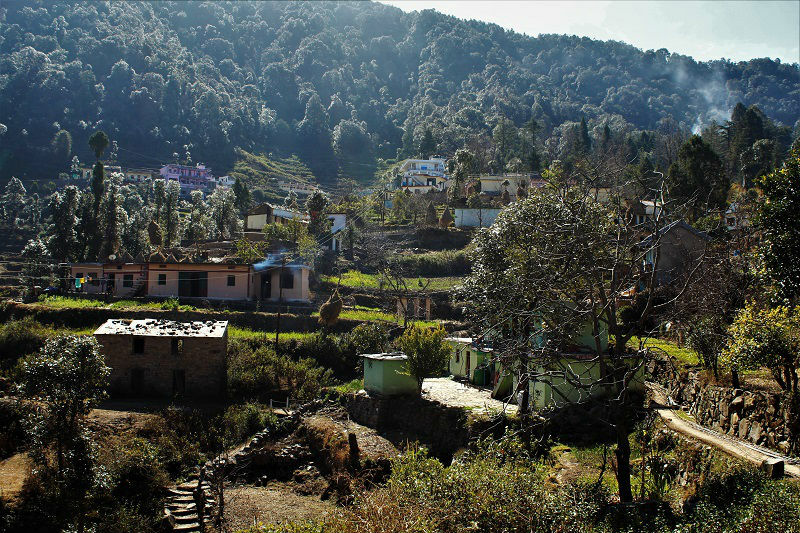 The village is covered all around by thick forests of Oak, Pine and Deodar trees. Away from the hustle-bustle of the famous tourist places, Khirsu is a perfect place to be at if you are looking to spend some peaceful time amidst the beautiful nature. The cheapest and convenient way to reach Khirsu is via railways. 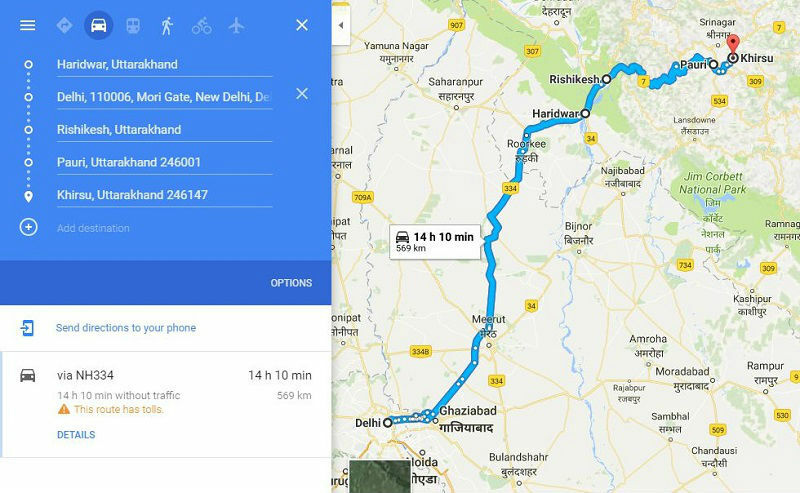 The nearest railway stations to Khirsu is Kotdwara (114 kms), Rishikesh (134kms), and Haridwar (154 kms). Haridwar, Rishikesh, and Kotdwara are connected to major Indian cities via railways. From all these cities regular buses and shared taxis ply for Pauri (20 kms from Khirsu) and would take around 3-4 hours to reach Pauri. For train bookings visit IRCTC. 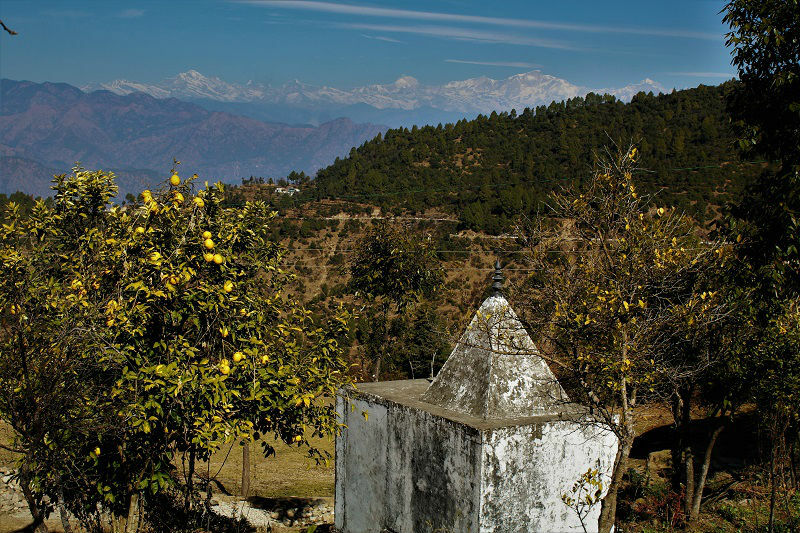 On reaching Pauri, head to the taxi stand and ask for a shared taxi to Khirsu. The charges for the same are INR 30/person and it takes around halfan hour to reach Khirsu from Pauri. 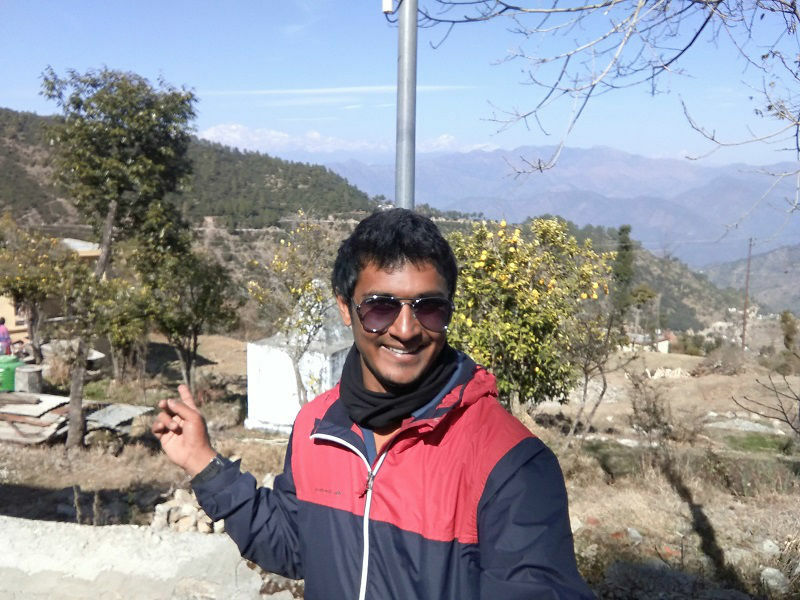 After spending an amazing time at Pauri, I headed for Khirsu. The shared taxi timings from Pauri to Khirsu are not fixed; it altogether relies upon the cabbies that hold up until the seats are totally occupied. 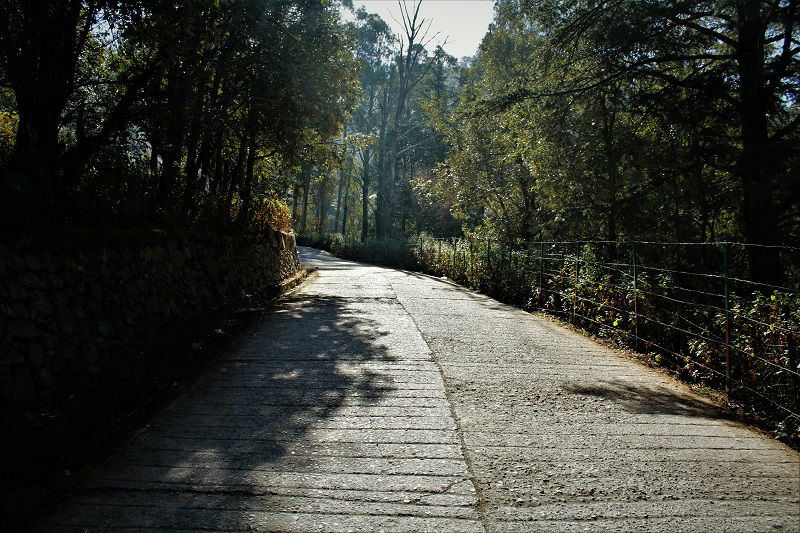 The ride from Pauri to Khirsu is all along the dense forest cover. 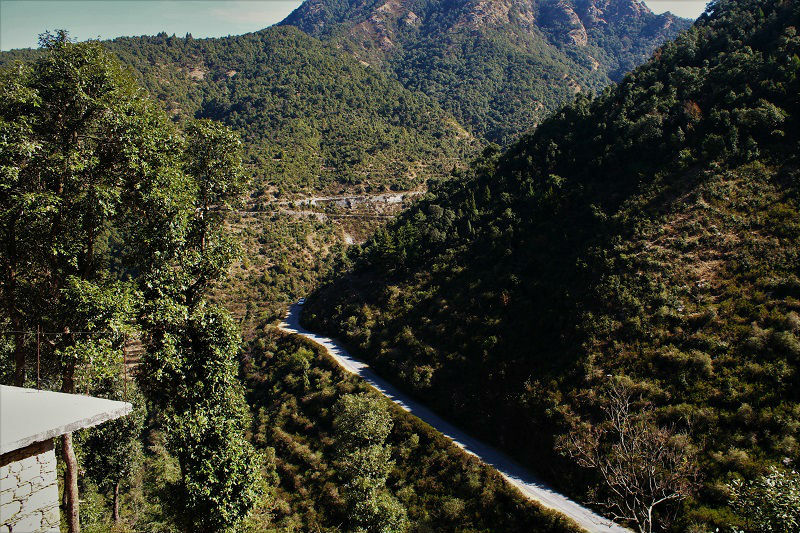 The distance of 20 kms between Pauri and Khirsu is covered in around 30 minutes. Not much has been written about Khirsu over the internet and the town is still very less explored which makes it more captivating. 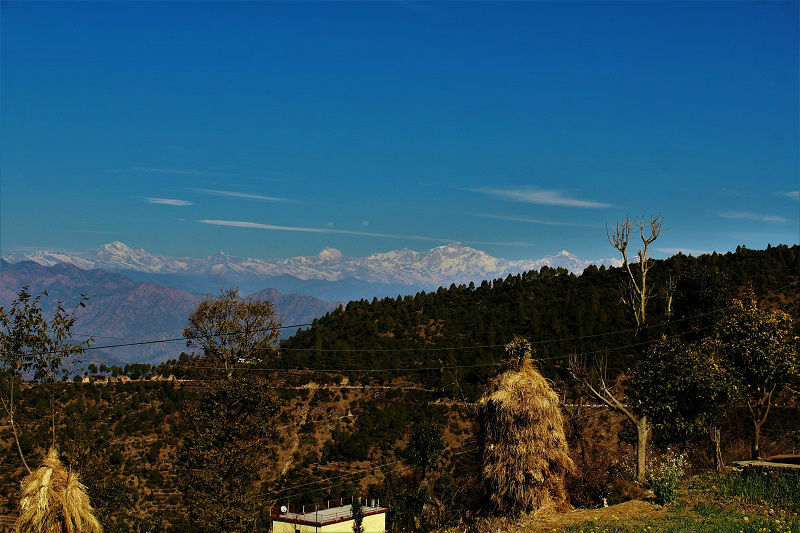 As soon as I entered the town, the first thing I noticed was a breathtaking panoramic view of the snowcapped Himalayas with flawless beauty. Around 300 peaks can be seen from the town on a clear day. 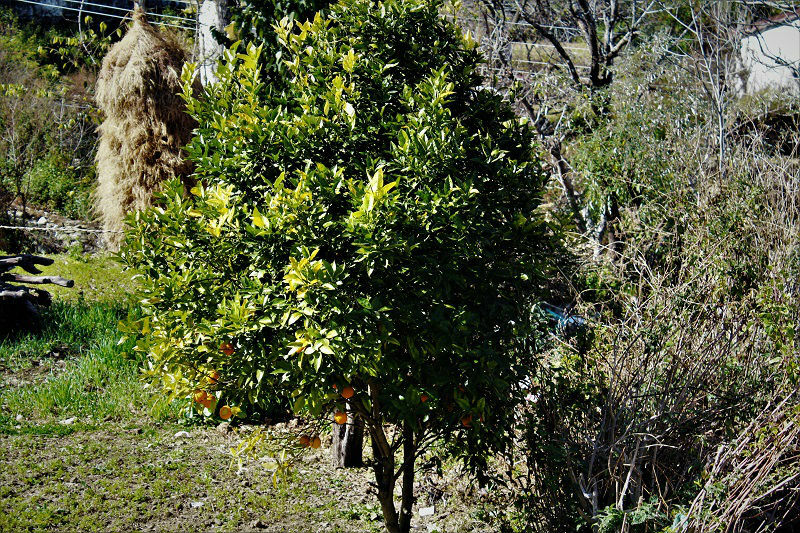 Khirsu is covered all around by deep forest and step farming being the main occupation of the villagers. Except to visit the temple of Ghandiyal Devta, there is nothing to do in Khirsu in terms of sight-seeing. 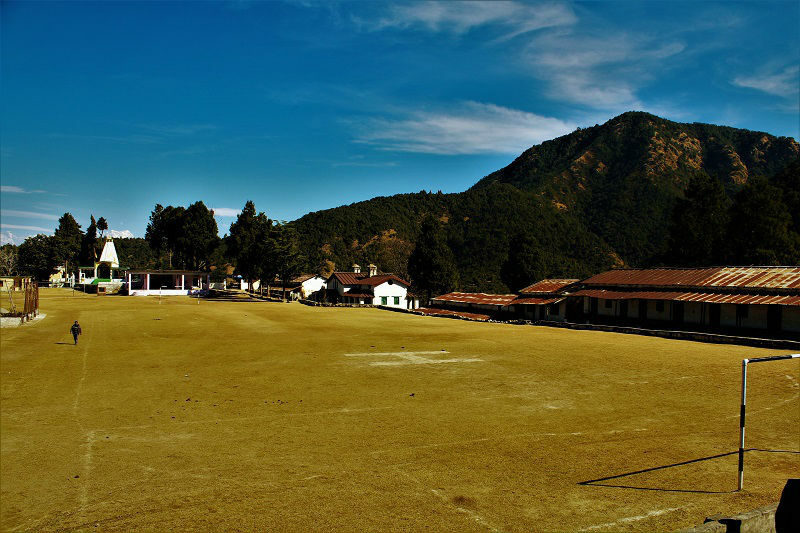 The place is all about spending some peaceful days in lush green surrounding amidst fabulous view of Himalayan range. I spent my entire day walking across the Kaccha roads of the town, observing the day to day activities of the villagers, taking a glimpse of the beautiful Himalayan range from possibly every angle and trying out the local food. To be honest, I was jealous of the fact that how naturally gifted the people living in the Khirsu village are. I wish the place remains as it is now. Simply untouched!! There is an SBI bank and ATM at Khirsu. Since this is the only bank over there and the ATM is mostly out of cash, remember to carry enough cash with you. Since the town is not touristy, very few stay options are available. 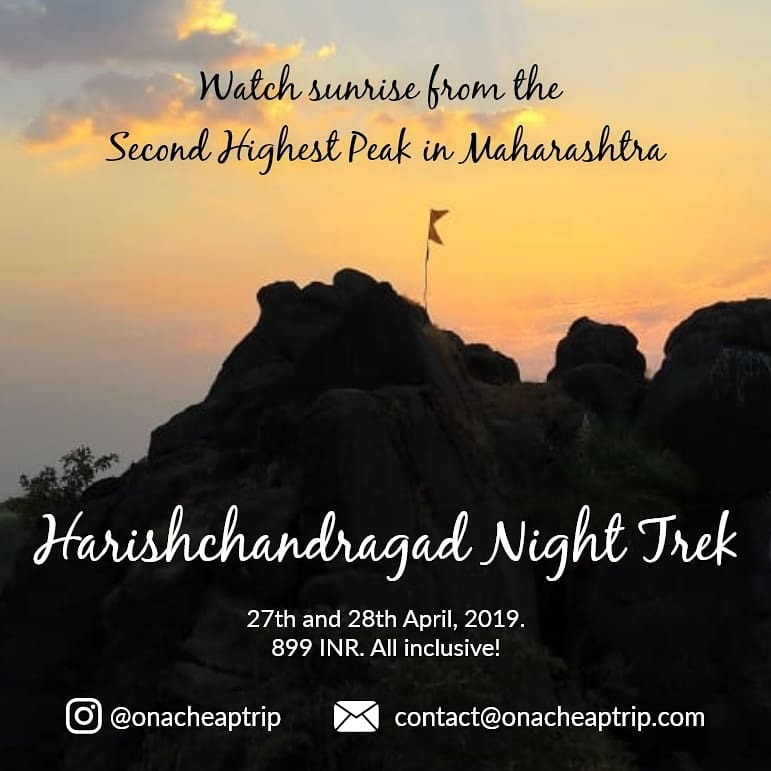 The few I saw over there are GMVN Tourist rest house (95680 06672), Vikas Khand Guesthouse (9997862249), Badri Vishal Guesthouse (9410723484), Hotel Taj Himalaya (9927235950). 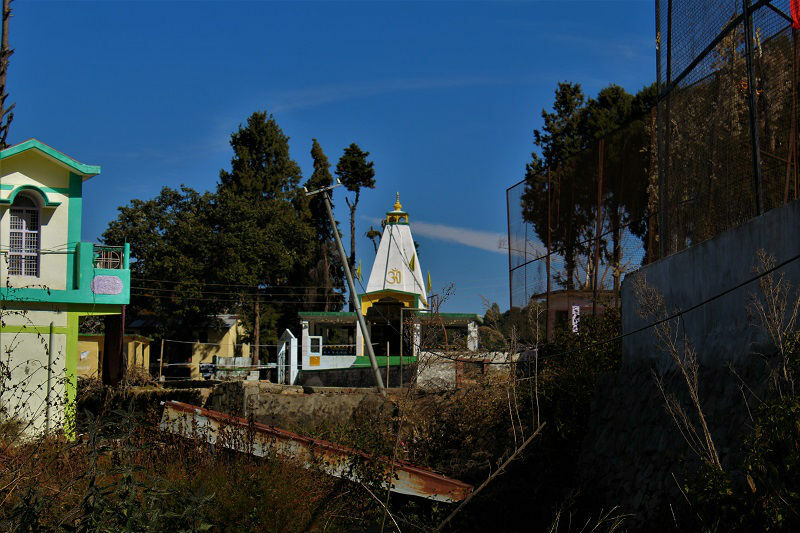 What you can also do is, stay in Pauri and visit Khirsu on a day trip from Pauri like I did. There are no attractive restaurants in Khirsu. You will find few of the roadside Dhabas and local restaurants in Khirsu. Try the local Pahadi cuisine which consists of Kappa, Sisunak Saag, Pahadi raita etc. So what are you waiting for? Pack your bags and head straight to the peaceful town of Khirsu to witness the real beauty of the place with your own eyes. Great write up !! Added to my bucketlist of offbeat destinations..